Since we have an attached master bathroom in our bedroom, I wanted to try to make the two spaces feel cohesive with each other and choose a similar vibe for both areas. The bathroom was a bit dull before, so I’m really happy with the fresh feel that it has now. 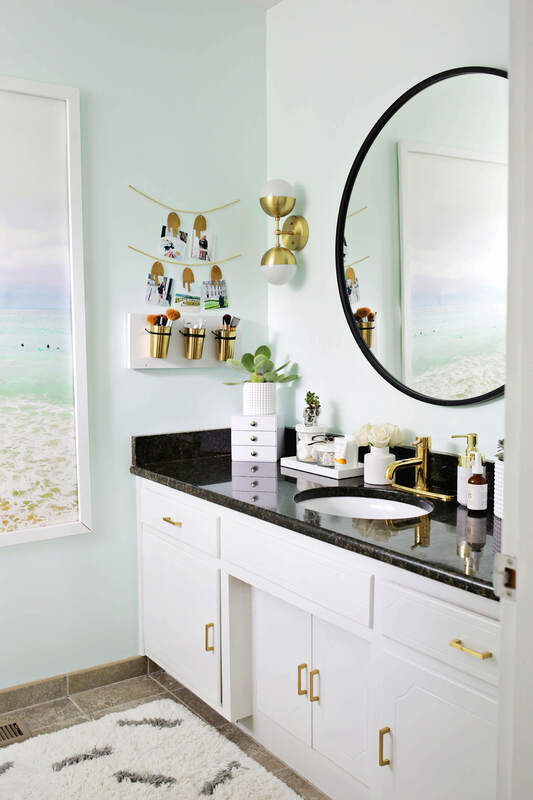 See the full before + after here! 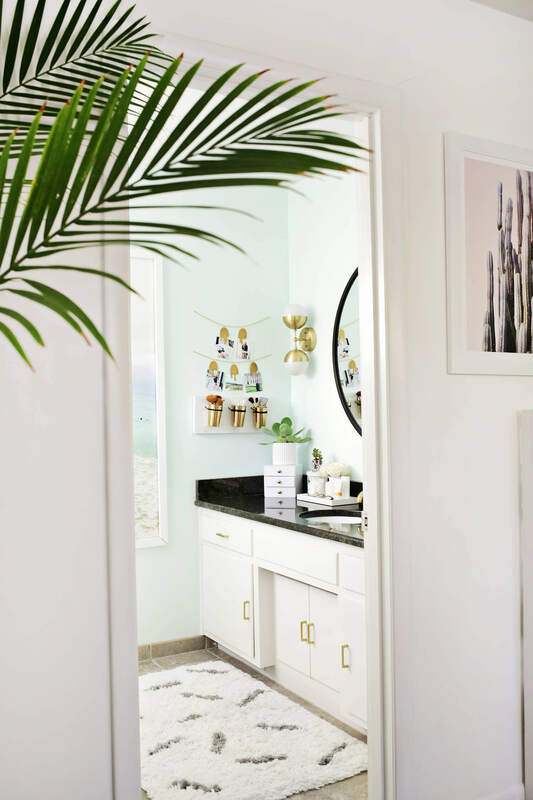 If only that beach scene was the real scene out my bathroom…a girl can dream! Categories: Home Sweet Home | August 2, 2017 by thebandwifeblog.